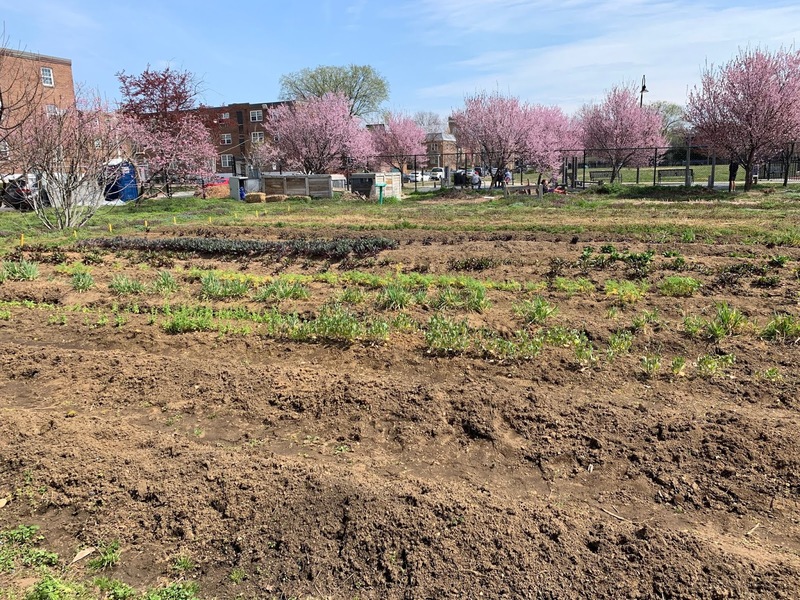 This garden stood from 2007 to 2009 and then after their work each year expanding our programs to feed more people, educate DC residents’ young and old, and contribute to the sustainability of the organization they were invited to their new location that stands in LeDroit Park in 2008. 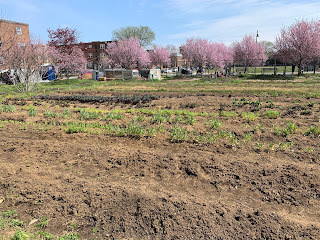 Now, over 10 years of farming on almost half an acre in the middle of DC, Common Good City Farm can feed more people through their farm market, engage more students in their Seed to Table Workshops and Youth programs, and serve more community members at their events. The goal of Common Good City Farm is to “create a vibrant, informed, and well-nourished community through urban farming while also actively engaging with all members of a diverse community and create opportunities for connections on our farm, while emphasizing intensive vegetable production and modeling best practices in sustainable urban agriculture,” according to their website. 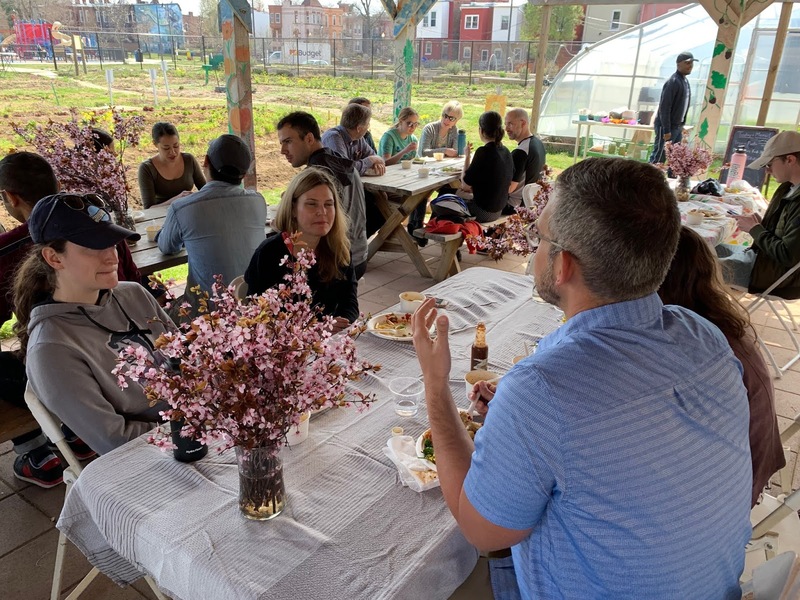 “Our goal is to feed people and bring them together while also helping teach them about healthy environmental practices,” Executive Director of Common Good City Farm, Sam Wetzel said. Since January 2007, this garden has provided over 10 tons of fresh produce to the community, engaged over 2,700 adults and 4,500 young people in educational programs, and hosted over 3,000 volunteers. Common Good City Farm offers a plethora of free community events that help provide hands-on training in food production, healthy eating and environmental sustainability. They also hold an after-school activity for students to help teach them healthy eating as well as cooking skills. All upcoming events can be found on their website (www.commongoodcityfarm.org). There are no current plans for expansion, Wetzel said, citing that the nature of expansion creates a disconnect between the community and they want to stay as connected with the community that they help each year. To get involved, Wetzel said the best way is to come to some events and check out the garden, talk to people and see what they like. There are also two open community work days coming up where people can come and volunteer if they want to start helping out. Come join hem on Saturday, April 20, 2019, at 10am for their Spring Kick-Off Event. About the Author: Johnny Moseman is a senior multi-platform journalism major at the University of Maryland from Columbia, MD. 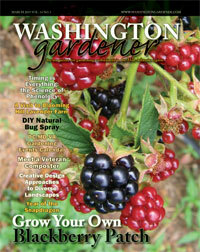 He is an editorial intern at Washington Gardener this spring semester. The Community Gardens of the DMV blog series is profiling community gardens across the DC-MD-VA region. 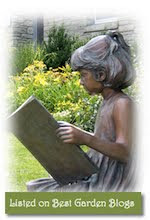 If you have a community garden you would like profiled, please leave a comment below and let us know how to reach you.